Okay, I know this is supposed to be a blog about wedding photography and engagement photos, but Visual Image Photography is looking for someone to manage our studio in Wheeling, IL, so I thought I would pass along the information. Visual Image Photography is seeking a qualified individual to manage our Wheeling, IL studio and senior portrait department. Responsibilities include photographing senior portraits, marketing the studio, and overseeing the training and development of our senior portrait photography staff. So, if you're interested in this position, or you know someone who is, please have them contact us. Or click here to fill out our online job application. 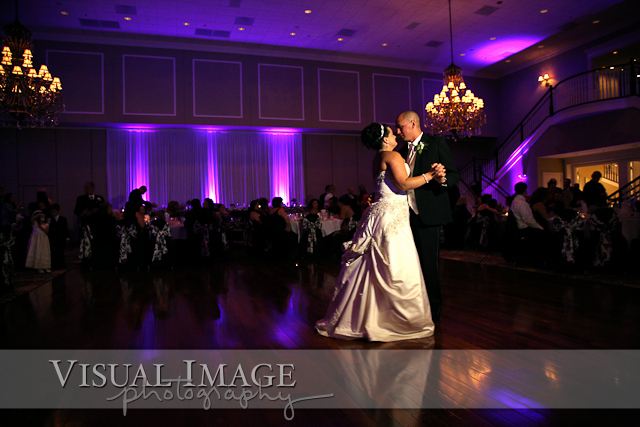 And since no post is complete without at least one image, here's a picture of Kristin and Charles during their first dance at DiNolfo's Banquets.